Most offices have their own unique filing system. So why should your folder have to be the same as everyone else’s? 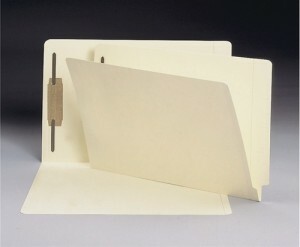 We offer a variety of folder styles, and a special option to design your own file folder. 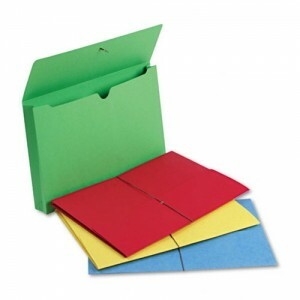 With so many options to choose from, it’s both easy and fun to create the perfect folder for your filing needs. Here is a quick guide to help you through the process and familiarize you with the selections. 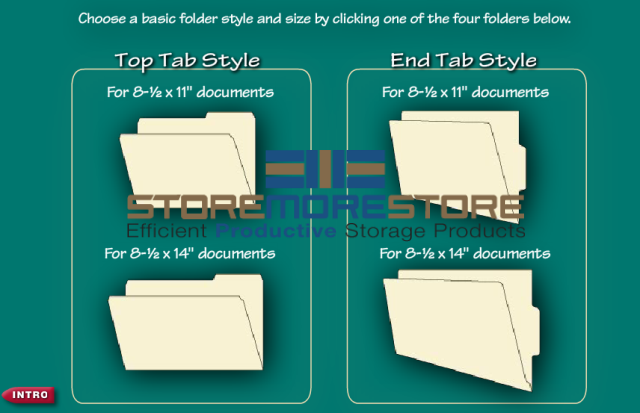 First, you will want to choose a basic folder style: top tab or end tab, and letter size or legal size. 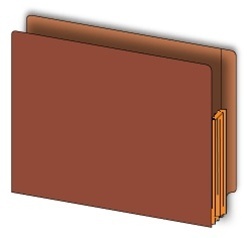 End tab folders have three cut styles: straight cut, extended straight cut, and dual tab while the top tab folders have seven cut style options. Ideally, you will want to pick a tab size that has enough room to include your file heading and any other information that helps make you filing system work better. Text headings, color-coded letters or numbers, date codes, and even barcodes can be added to improve the efficiency of your system. Manila: a classic and economical choice. 100% Recycled Manila: an ideal choice for the eco-friendly office. Manila with Antimicrobial Protection: treated manila resists growth of bacteria, mold, and mildew. Watershed®/CutLess®: resists liquid spills, are dirt and finger-oil resistant, and significantly reduce paper cuts. Color: makes filing more efficient with color-coding. Kraft: perfect for frequent access or industrial settings. Pressboard: durable and dense, it resists wear and tear. There are also options for point thickness: 11, 14, 17 or 18. The higher the point thickness, the heavier and more durable the paper stock is. 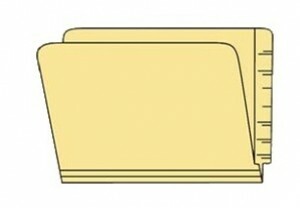 If you plan on storing a large about of paperwork in each folder, you will want to increase the expansion capabilities. For Manila, Kraft, and Color Folders there are two expansion options: standard, which is scored for ¾” expansion and w-fold, which has a “w” like fold that expands to hold up to 1 ½” of paperwork. 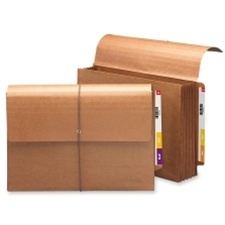 For pressboard folders you can add a Tyvek® accordion-pleat gusset that expands to hold between 1-4 inches of paperwork. 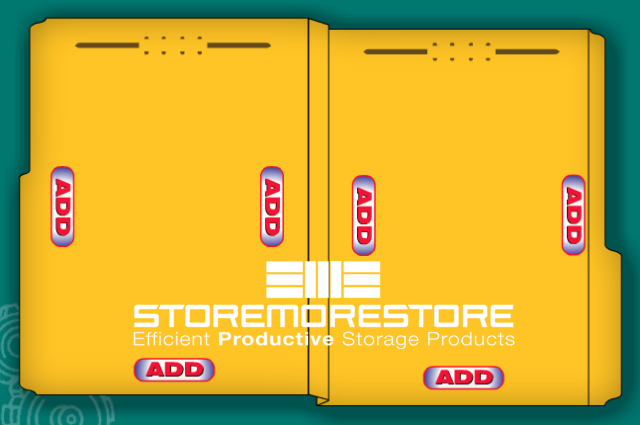 Bonded: a strong fiber base bonds the brown enamel metal prongs of the fastener to the outside of the folders, but isn’t visible from the outside so it won’t scratch shelves or drawers. Embedded: all-metal fastener with brown enamel finish that’s recessed to the folder from the outside to provide superior strength and hold large amounts of paper. U Style: a flexible plastic fastener that allows the folder to function like a ring binder where pages can be added anywhere without removing other pages. Listed above are the main decisions you have to make, but there are other options to add labels and more dividers to your file folder. To get started, all you have to do is visit our site and we will walk you through the file folder design process. And if you have any questions or need help, please give us a call at 1-855-786-7667!